RAGHU Institute of Technology is established in 2007 by a group of eminent personalities in the field of engineering education, with a mission to foster an ideal education environment, offering scope for purposive training and providing opportunities for doing meaningful research. 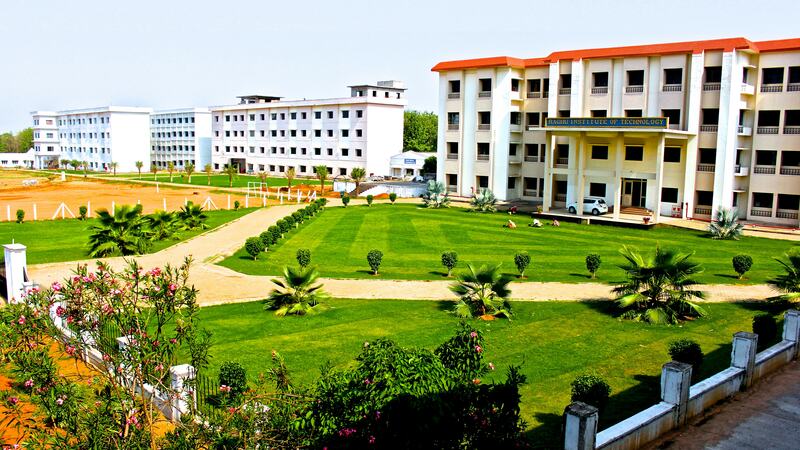 The campus of Raghu Institute of Technology is located on a sprawling 10 acres of land at Dakamarri Village, Bhimunipatnam Mandal, Visakhapatnam District (A.P.) in a tranquil atmosphere amidst gardens and greenery. The emerging opportunities in information technology and manufacturing sector pose a challenge to the academic institutions to provide qualified and efficient manpower to lead business units to greater heights. Therefore, Raghu Institute of Technology strives to equip the students with required conceptual, technical and managerial skills to meet the present and future requirements of the industry. The main thrust of the institute is to train qualified professional in the field of engineering to cater the technology needs of the society and to shoulder the ever-changing business responsibilities at national and international levels. The administration of the college takes place under the guidance of a team of experienced leaders comprising the Principal, Academic Director, Advisor, Administrative Officer and Heads of various Departments. The College is supported by a strong team of 135 members including professors, Associate Professors, Assistant Professors, and supporting staff. All the members have requisite experience in the disciplines concerned.